Yep, This little cutie! It seems like she was JUST born. My a year goes so quickly! While Miss R didn’t eat much of this beautiful pink sweetness, she sure had fun touching, squeezing, and smooching it in her hands. She was happy doing just that! 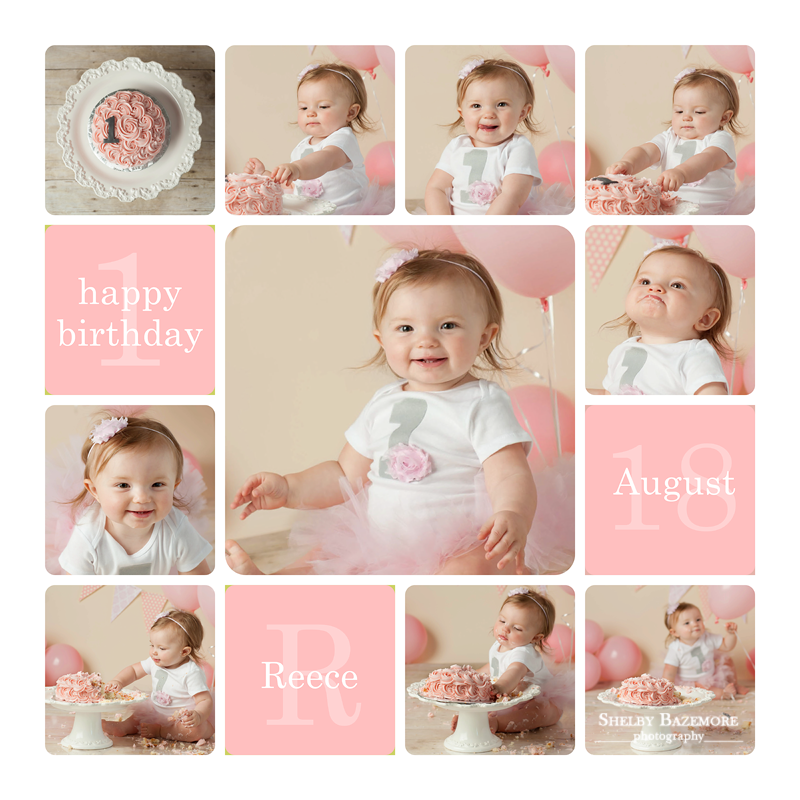 Miss R didn’t make a huge mess of her cute little outfit and she might be the cleanest cake smash baby ever!